We are entering the next level on our Dialogue Journey at collaboratio helvetica! Are you curious about holding the space for Dialogue, human connection and deep listening in a group? Are you curious to open spaces where real change can happen? Space for human connection and deep listening? Space where the root cause questions, the juicy ones, are addressed? 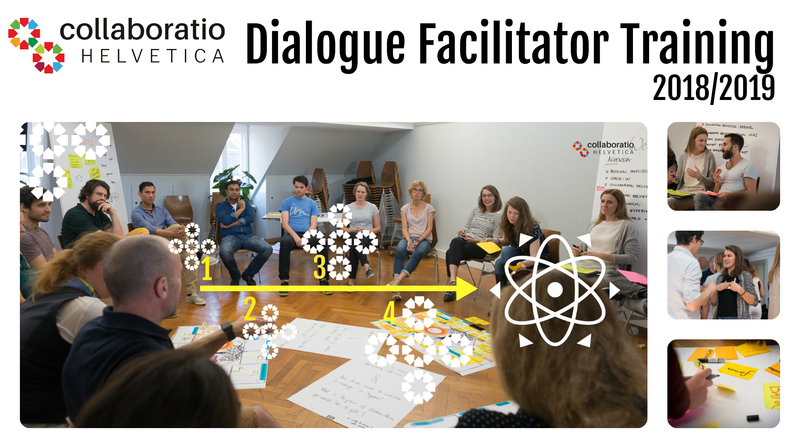 Are you interested to be an active member of a Dialogue Facilitator community, who explores the Dialogue methodology on a deeper level, and who discovers themselves in the process?